In our Single Focus ministry, we're scared of "plateauing." You know, getting to the point where you say something like, "Do you remember six months ago when we were regularly greeting and grounding guests, enjoying meaningful lunch conversations with each other, sharing sweet prayer and testimony times, sharpening each other in the lobby, and there was just a sense of purpose and enthusiasm? I wish we still had that!" While such a sentiment and such a fear can be improperly motivated, we hope that we're being compelled by the glory and grace of Jesus Christ — we want to see His glory increased and His grace spread throughout Indianapolis generally or our own ministry specifically (Ephesians 1:6, 12, 14). We believe that God's solution to "plateauing" is discipleship, and so we want to be regularly considering its sub-themes of identity, mission, and community. To help us do this, we've initiated Discipleship Seminars — annual daylong events that will help us stay focused on this God-directed solution. Jesus' last command to His first twelve disciples was that they "make disciples" (Matthew 28:18-20, ESV). Jesus envisioned that this would simply be their "way of life" — that as they were "going," they would labor to help other people find ("baptizing") and follow ("teaching") Jesus. Indeed, this is what Paul had in mind when he wrote in Colossians 1:28 — "We proclaim [Christ], warning everyone and teaching everyone with all wisdom, that we may present everyone mature in Christ." Are you living the discipleship life? 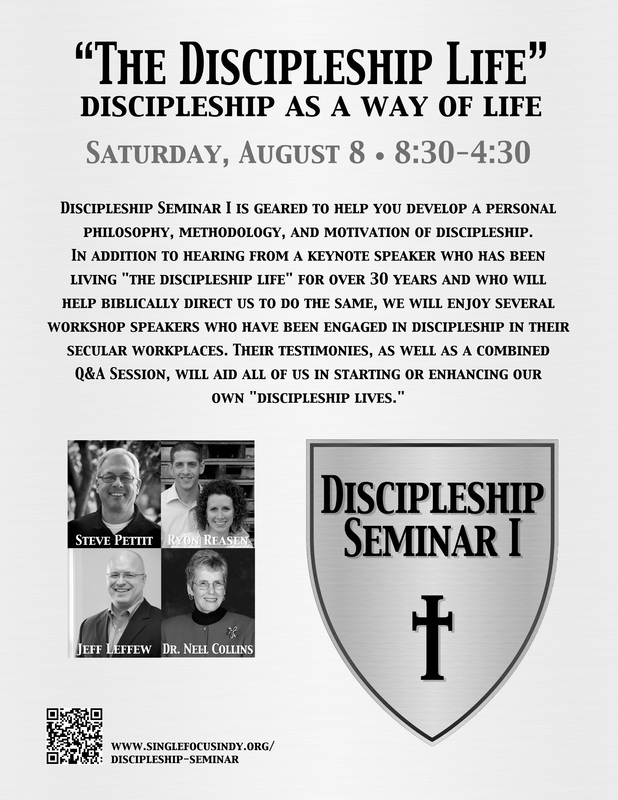 Discipleship Seminar I is geared to help you develop a personal philosophy, methodology, and motivation of discipleship — being a follower of Jesus who helps other people find and follow Jesus. 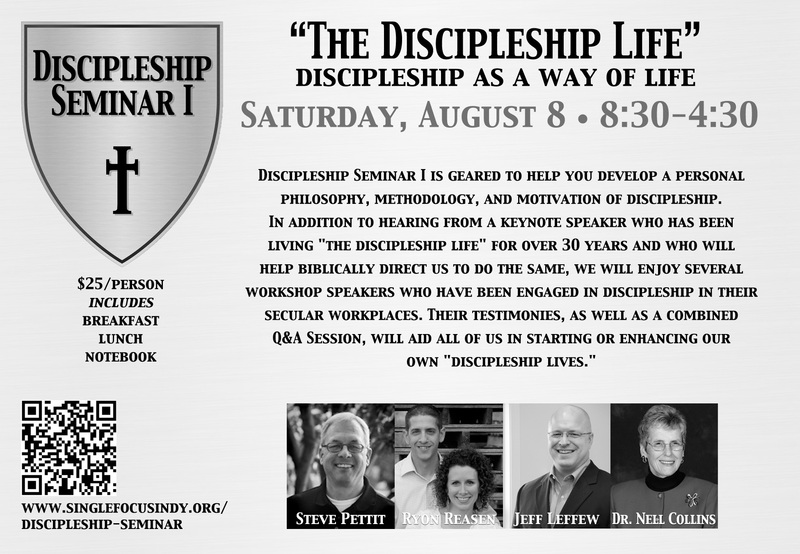 In addition to hearing from a keynote speaker who has been living "the discipleship life" for over 30 years and who will help biblically direct us to do the same, we will enjoy several workshop speakers who have been engaged in discipleship in their secular workplaces. Their testimonies, as well as a combined Q&A Session, will aid all of us in starting or enhancing our own "discipleship lives." Saturday, August 10 from 8:30 a.m. - 4:30 p.m.
breakfast, lunch, and a seminar notebook. *During this workshop, a special session will be offered with Steve Pettit for pastors and church leaders. The topic will be about revitalizing local church singles ministry. View the notes & listen to the sessions by clicking on the files below. 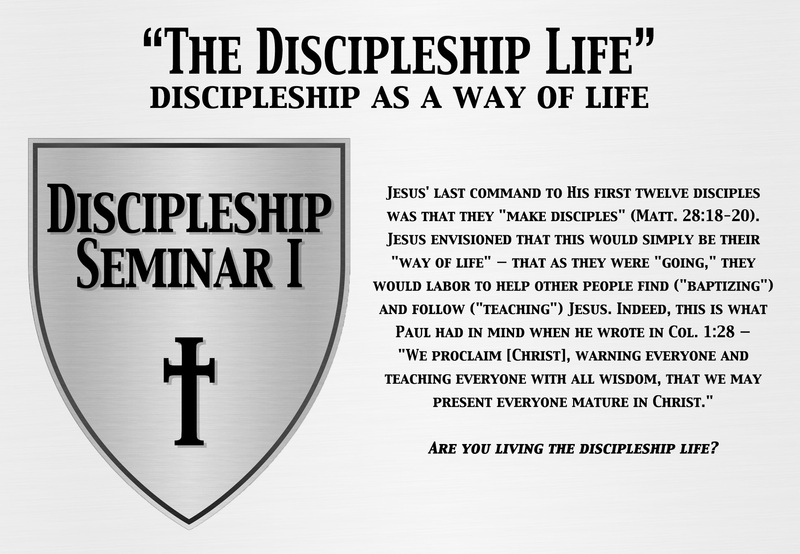 of the Discipleship Seminar 1 (2013). Steve is a native of South Carolina and a graduate of The Citadel, where he came to Christ his freshman year. He has served on a church staff, directed a Christian camp, and ministered the Gospel as an evangelist for over 30 years. Most recently, he became the National Director of Cross Impact Ministries, where the Lord is using him to stir local churches regarding revitalizing their singles ministry and reaching out to secular campuses. His broad impact includes several Bible studies that he has written and his P.O.W.E.R. Group discipleship method. Jeff serves as the President and Founder of ServantHR, a human resources services provider. The company's website demonstrates that Jeff views his workplace as the ministry God has entrusted to him. Throughout the last 10 years, Jeff has had an ongoing and fruitful ministry of evangelistic and discipleship Bible studies with contacts God has provided for him in the business world. Furthermore, Jeff's discipleship life evidences itself in his family's loving, creative, and regular outreach to their neighbors. Ryon has been employed in the finance department of Delta Faucet Company for the last 11+ years. He is currently employed as a Controller for their Internal Operations and travels regularly overseas. Like Jeff, Ryon has maximized the ministry opportunities of his workplace, graciously and boldly sharing Christ in casual conversation and regular Bible studies. Recently, we rejoiced to see one of his coworkers saved, baptized, and in the process of being added to our church. 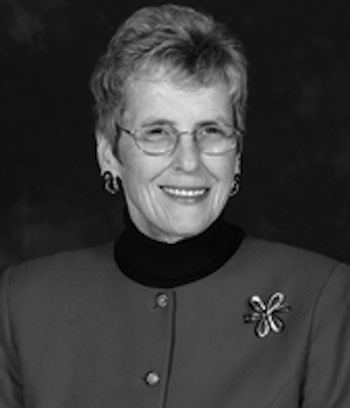 Dr. Nell Collins is the founder and director of Hope in Crisis, a ministry of biblical counseling to cancer patients. When she was 29 years old she became a registered nurse and was prepared to serve the Lord as a missionary, but the diagnosis of malignant melanoma and the two-year treatment process that followed sidetracked those plans. Since then, she has given her life to the ministry of taking God's Word to other cancer patients who have seen their dreams shattered. She has authored several books and pamphlets, all of which are marked by rich biblical understanding and practical application.